On April 26, 2015 we held a wonderful event to raise money for our incredibly hard working and brave LAPD SWAT officers. 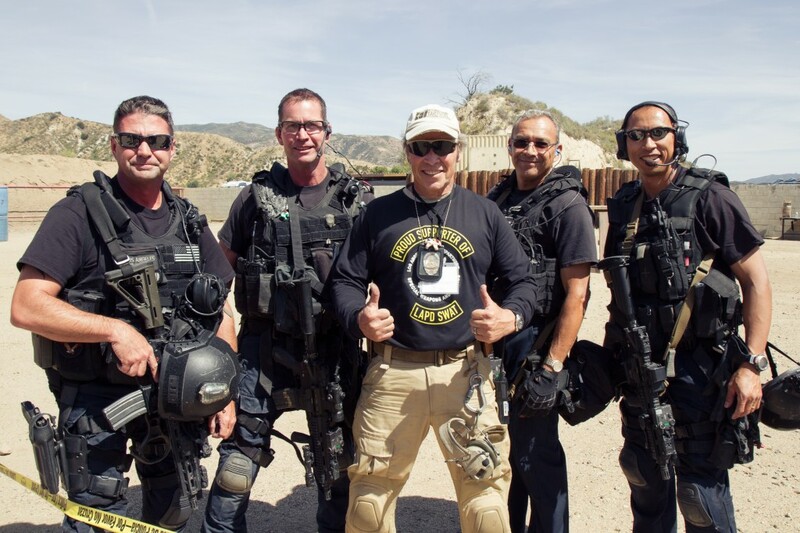 As most of you know, ITTS head instructor Scott Reitz is a former member of this elite unit which also referred to as “D-Team”, and the rest of the ITTS instructor cadre are current LAPD SWAT members. This was our first event of this scale and we are so proud to announce that we raised even more money than projected and everyone had a wonderful time watching demos, shooting hollywood guns, winning the raffle and silent auction items, checking out firearms gear, eating tasty food and just hanging out with good people. There are countless others we must thank including all of our amazing ITTS volunteers and everyone who so generously donated time, money and raffle and silent auction items. The lost truly goes on and on and we are just so thankful to have built such a wonderful ITTS family which was on full display! This entry was posted in Events, Favorites and tagged Charity, Fundraiser, ITTS, LAPD, SWAT. Bookmark the permalink.